Like any homeowner line of coverage, condominium owner insurance will safeguard your possessions. It is typical that a condo association would have a master policy to cover the property, common areas and physical building structure. The items inside the condo, such as improvements and upgrades as well as all of your personal property are not covered under a master policy. Protect yourself with condo insurance coverage for fire, vandalism and liability for property damage. If you already have insurance it only takes a few minutes to see if you are paying too much. We do the shopping for you and only offer the most trusted names in insurance policies for your coverage. Personal Liability Insurance: Covers claims for property damage or bodily injury for which the condo unit owner is legally responsible. Personal Property and Valuables: Replacement value for personal belongings such as clothing, furniture, appliances, jewelry, furs and heirlooms with limitations. Medical Payments: Medical expenses for anyone outside the household who is injured while visiting. Loss of Use: Pay for any costs above normal living expenses if damage prohibits the family from living in their condominium. Loss Assessment: Covers the costs levied by a condominium association in the event of loss caused by a covered peril. 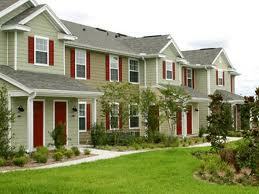 Receive your Free Quote for Condominium Owners Insurance Today.